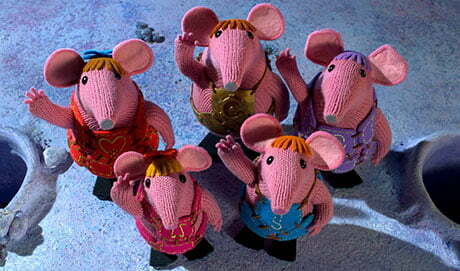 The UK-based animation studio and rights owner behind BBC children’s show Clangers is to create 25 new jobs by expanding its digital division. Factory’s enlarged unit will be based in Manchester, UK and headed by Factory’s head of CGI Pauline Edwards, who has overseen the producer’s digital output since 2014. The division will build on Factory’s existing in-house expertise across visual effects, compositing, CGI, 3D animation and 2D animation. Phil Chalk, MD of Factory, said the 25 new roles would take the company’s head count to 130. Amongst the 25 new roles will be layout artists, lead 2D animators, 2D animators, 2D FX animators, 2D character riggers, mid and senior compositors, plus project managers and production co-ordinators. The expansion comes after Factory was recently commissioned to work on a feature-length 2D animation based on a book by Michael Morpurgo (War Horse), which is being coproduced by Leopard Pictures. Further details are yet to be revealed. Factory has worked for an array of companies since its launch in 2010, including CBBC, CBeebies, ITV, Disney and Nickelodeon. Its credits include Clangers, Scream Street, Off The Leash, Strange Hill High, Newzoids and three specials for Disney and Club Penguin.